Christmas is, without a doubt, one of the most important times of the year for retailers and a successful Christmas can really make the difference between success and failure for a retailer. With so much hinging on the Christmas period, it’s little surprise to see just how much effort and money retailers will put into their festive marketing campaigns. It’s no longer enough to promote the latest product or discount; campaigns must be clever, creative and most importantly emotive to win over shoppers in time for the festive rush. Harvey Nichols – Could I be any clearer? Last year we wrote about Harvey Nichols’ rather shallow Christmas campaign and this year they’ve continued the theme by launching a range of ‘Could I Be Any Clearer’ Christmas cards. 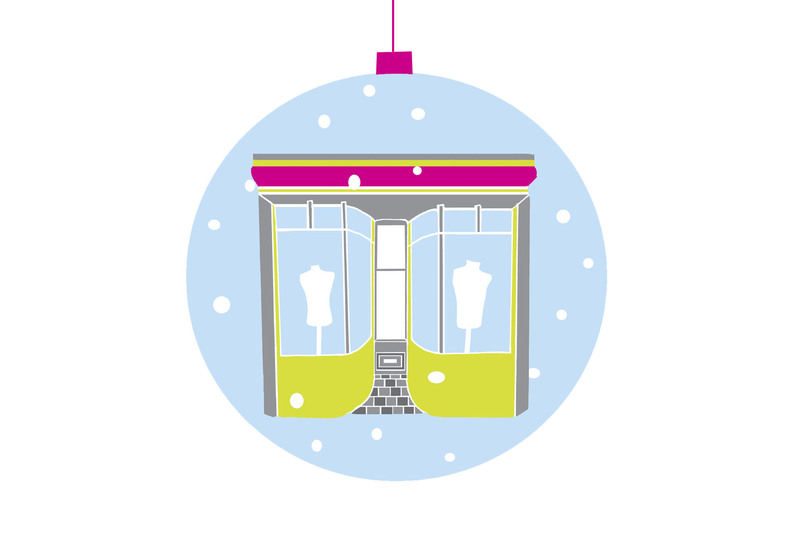 When viewing products on the Harvey Nichols website you can select ‘create Christmas card’ which allows you to choose a card design which can be printed, emailed or shared through social media to send to your loved ones with a not-so-subtle hint of what’s really on your mind this Christmas. Mulberry is another brand who is continuing the theme of Christmas being all about the presents and has created an online campaign entitled #WinChristmas. The advert features an upper class household with family members all competing to outdo each other in their gifts for the spoilt daughter. Each present gets more and more over the top (including a Unicorn!) until granny trumps them all with a Mulberry handbag which gets the biggest reaction from the daughter. The advert serves as a light-hearted reminder from the luxury brand that you can’t go wrong with giving a Mulberry bag for Christmas. The advert is also complemented by press, digital, in-store window displays, visual merchandising, social competitions and a digital Christmas gift finder – although I am not convinced anyone who has been really naughty deserves something from Mulberry! This year, fashion retailer, Ted Baker has done something a bit different and launched a Christmas-themed game on Instagram to engage shoppers over the Christmas period. The #TedsElfie campaign asks fans to help find Santa’s missing elves and gives clues on their social media pages with hints about where to look. Over on the @TedsElfie Instagram page, you can view various pictures and when you tap them clues are revealed as to the elves whereabouts. When you find an Elf, users can comment on the photos and follow the instructions for a chance to win prizes. I think it’s a really innovative campaign and a great use of Instagram and is certainly capturing the attention of fans of the brand. Selfridges is another retailer who has also launched a Christmas-themed game to build awareness of their Elfridges service and loyalty amongst shoppers. The retro inspired game called ‘Elfridge and the Enchanted Forest’ has five levels to represent each of its five stores and transactional website. Players take on the role of an Elfrdige to save Christmas after a golden goose steals the presents from Selfridges and have to navigate through a world reminiscent of Nintendo’s Super Mario. The game serves as a fun marketing tool to inform users about the locations of their different stores and the offers available. This year’s offering from Marks & Spencer has a strong emphasis on social media and the retailer has ditched all the celebrity signings it focused on so heavily last year. M&S has launched an advert which features two fairies, Magic & Sparkle, who aim to lift festive spirits with ‘random acts of kindness.’ The retailer has utilised their Twitter, Facebook and Tumblr accounts to spread the word and generate chatter with the hashtag #followthefairies. To emphasise their theme of ‘acts of kindness’ M&S listened to people’s wishes on social media and used geotagging to locate them and make them come true. They ran unbranded events such as creating real snow outside a school in Cornwall, giving gifts to night shift workers, delivering chocolates to a hospital ward to and creating fairies made out of lights above Newcastle’s Tyne Bridge – all of which weren’t revealed to be the work of M&S until the advert was released. The fairies Twitter account has already amassed a massive 42,000 followers and the challenge for M&S will be to keep the attention of the followers they have amassed after the Christmas season. Burberry has launched a four minute film entitled From London with Love which features 12-year old Romeo Beckham – son of David and Victoria Beckham. As well as the advert, the campaign features an interactive store window in its London and Paris stores which enable visitors to interact with individual scenes in the advert through their mobiles. Consumers are also able to shop for items directly through Twitter. Christopher Bailey, the brands CEO and Creative Director said the idea was about combining a “physical experience with something that is online” and working with Twitter meant the brand could “do that on different platforms in a physical location”. It wouldn’t be a Christmas campaign blog without including John Lewis. I thought this year’s advert was sweet, but it didn’t blow me away. However, what I thought was really innovative was some of the other ideas intended to extend the life of the campaign such as Monty’s Magical Toy Machine. At the flagship John Lewis store in Oxford Street, children can scan their favourite toy into the machine and through photogrammetry technology the toy then appears on screen as a moving as a life-like 3D image and dances for the child. I can only imagine the children’s responses to their toys coming to life! So there you have it; just a few of the Christmas campaigns we’ve spotted this Christmas. Which one is your favourite and are there any other good ones that I have missed?